This is a top data warehouse interview questions and answers that can help you crack your data warehousing job interview. You will learn about difference between a data warehouse and a database, cluster analysis, chameleon method, virtual data warehouse, snapshots, ODS for operational reporting, XMLA for accessing data and types of slowly changing dimensions. Learn data warehouse from Intellipaat data warehouse certification training and excel in your career. A database uses a relational model to store the data whereas a data warehouse uses the various schemas like Star Schema and others. In Star Schema each dimension is represented with only one dimension-table. The data warehouse supports dimensional modeling which is a design technique to support end-user queries. 2. What is the purpose of cluster analysis in Data Warehousing? Cluster analysis is used to define the object without giving the class label. It analyzes all the data that is present in the data warehouse and compare the cluster with the cluster that is already running. It performs the task of assigning some set of objects into the groups also known as clusters. It is used to perform the data mining job using the technique like statistical data analysis. It includes all the information and knowledge around many fields like machine learning, pattern recognition, image analysis and bio-informatics. Cluster analysis performs the iterative process of knowledge discovery and includes trials and failures. It is used with the pre-processing and other parameters as a result to achieve the properties that are desired to be used. Learn more about Data Warehousing in this insightful Data Warehouse Tutorial. 3. What is the difference between agglomerative and divisive Hierarchical Clustering? Agglomerative Hierarchical clustering method allows the clusters to be read from bottom to top so that the program always reads from the sub-component first then moves to the parent whereas Divisive Hierarchical clustering uses top-bottom approach in which the parent is visited first than the child. Agglomerative hierarchical method consists of objects in which each object creates its own clusters and these clusters are grouped together to create a large cluster. It defines a process of continuous merging until all the single clusters are merged together into a complete big cluster that will consist of all the objects of child clusters. However, in divisive clustering, the parent cluster is divided into smaller cluster and it keeps on dividing until each cluster has a single object to represent. Become Data Warehousing Certified in 12 hrs. 4. Why is chameleon method used in data warehousing? Chameleon is a hierarchical clustering algorithm that overcomes the limitations of the existing models and the methods present in the data warehousing. This method operates on the sparse graph having nodes: that represent the data items, and edges: representing the weights of the data items. This representation allows large dataset to be created and operated successfully. The method finds the clusters that are used in the dataset using two phase algorithm. The first phase consists of the graph partitioning that allows the clustering of the data items into large number of sub-clusters. Second phase uses an agglomerative hierarchical clustering algorithm to search for the clusters that are genuine and can be combined together with the sub-clusters that are produced. Interested in learning Data Warehousing? Well, we have the in-depth data modeling courses to give you a head start in your career. 5. What is Virtual Data Warehousing? Virtual data warehousing is a ‘de facto’ information system strategy for supporting analytical decision making. It is one of the best ways for translating raw data and presenting it in the form that can be used by decision makers. It provides semantic map – which allows the end user for viewing as virtualized. 6. What is active data warehousing? An active data warehouse represents a single state of the business. Active data warehousing considers the analytic perspectives of customers and SUPPLIERS. It helps to deliver the updated data through reports. A form of repository of captured transactional data is known as ‘active data warehousing’. Using this concept, trends and patterns are found to be used for future decision making. Active data warehouse has a feature which can integrate the changes of data while scheduled cycles refresh. Enterprises utilize an active data warehouse in drawing the company’s image in statistical manner. 7. What is snapshot with reference to data warehouse? Snapshot refers to a complete visualization of data at the time of extraction. It occupies less space and can be used to back up and restore data quickly. A snapshot is a process of knowing about the activities performed. It is stored in a report format from a specific catalog. The report is generated soon after the catalog is disconnected. XMLA is XML for Analysis which can be considered as a standard for accessing data in OLAP, data mining or data sources on the internet. It is Simple Object Access Protocol.XMLA uses ‘discover’ and ‘Execute’ methods. Discover fetches information from the internet while Execute allows the applications to execute against the data sources. XMLA is an industry standard for accessing data in analytical systems, such as OLAP. It is based on XML, SOAP and HTTP. An operational data store (“ODS”) is a database designed to integrate data from multiple sources for additional operations on the data. Unlike a master data store, the data is not sent back to operational systems. It may be passed for further operations and to the data warehouse for reporting. In ODS, data can be scrubbed, resolved for redundancy and checked for compliance with the corresponding business rules. This data store can be used for integrating disparate data from multiple sources so that business operations, analysis and reporting can be carried while business operations occur. This is the place where most of the data used in current operation is housed before it’s transferred to the data warehouse for longer term storage or archiving. An ODS is designed for relatively simple queries on small amounts of data (such as finding the status of a customer order), rather than the complex queries on large amounts of data typical of the data warehouse. An ODS is similar to your short term memory where it only stores very recent information. On the contrary, the data warehouse is more like long term memory storing relatively permanent information. 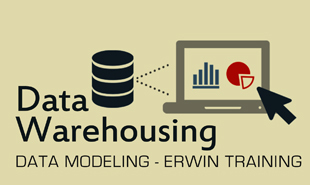 Learn more about Data Warehousing concepts through our data modeling videos! 10. What is level of Granularity of a fact table? e.g.Employee performance is a very high level of granularity. Employee_performance_daily, employee_perfomance_weekly can be considered lower levels of granularity. The granularity is the lowest level of information stored in the fact table. The depth of data level is known as granularity. In date dimension, the level could be year, month, quarter, period, week, day of granularity. – Determining the location to locate the hierarchy of each dimension of information. The above factors of determination will be resent to the requirements. 12. What is junk dimension? A single dimension is formed by lumping a number of small dimensions. This dimension is called a junk dimension. Junk dimension has unrelated attributes. The process of grouping random flags and text attributes in dimension by transmitting them to a distinguished sub dimension is related to junk dimension. 13. What are the different types of SCD's used in data warehousing? 14. Which one is faster, Multidimensional OLAP or Relational OLAP? Multidimensional OLAP is faster than Relational OLAP. Data is stored in a multidimensional cube. The storage is not in the relational database, but in proprietary formats (one example is PowerOLAP’s .olp file). MOLAP products can be compatible with Excel, which can make data interactions easy to learn. 15. What is Hybrid SCD? Hybrid SCDs are a combination of both SCD 1 and SCD 2. It may happen that in a table, some columns are important and we need to track changes for them i.e., capture the historical data for them whereas in some columns even if the data changes, we do not have to bother. For such tables, we implement Hybrid SCDs, where in some columns are Type 1 and some are Type 2. 16. Why do we override the execute method is struts? As part of Struts Framework, we can develop the Action Servlet, ActionForm servlets (ActionServlet means what class extends the Action class, and ActionForm means what class extends the Action Form class) and other servlet classes. In case of ActionForm class, we can develop validate() method. This method will return the ActionErrors object. In this method we can write the validation code. If this method returns null or ActionErrors with size=0, the web container will call execute() as part of the Action class. If it returns size > 0, it will not call the execute() method. It will rather execute the jsp, servlet or html file as value for the input attribute as part of the attribute in struts-config.xml file. A very large database, or VLDB, is a database that contains an extremely large number of tuples (database rows), or occupies an extremely large physical file system storage space. A one terabyte database would normally be considered to be a VLDB. 18. How do you load the time dimension? 20. What is the main difference between Inmon and Kimball philosophies of data warehousing? Both differ in the concept of building the data warehouse. Kimball views data warehousing as a constituency of Data marts. Data marts are focused on delivering business objectives for departments in the organization. And the data warehouse is a conformed dimension of the data marts. Hence, a unified view of the enterprise can be obtained from the dimension modeling on a local departmental level. Inmon explains in creating a data warehouse on a subject-by-subject area basis. Hence, the development of the data warehouse can start with data from the online store. Other subject areas can be added to the data warehouse as their needs arise. Point-of-sale (POS) data can be added later if management decides it is necessary. Take charge of your career by going through our professionally designed Data Warehouse Certifications Course. "2 Responses on Top Data Warehouse Interview Questions And Answers"
Awesome collection…That what exactly I was waiting for..Good work..
good explanation of every concept. 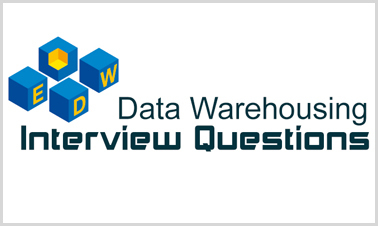 Sign Up or Login to view the Free Top Data Warehouse Interview Questions And Answers.